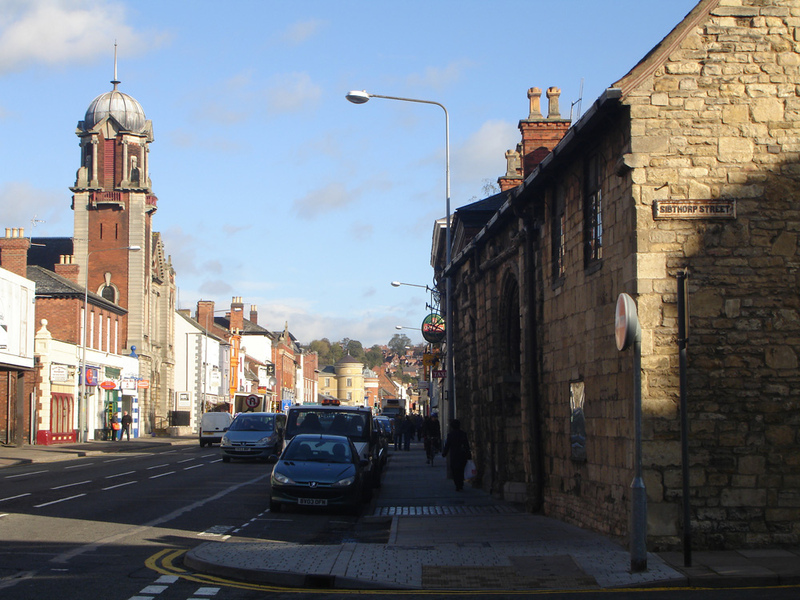 — This article originally appeared at Jones the planner blog, as part of a series exploring architecture, urban design and planning issues in Britain’s towns and cities from planner/urban designer Adrian Jones and by Chris Matthews, a historian and graphic designer. 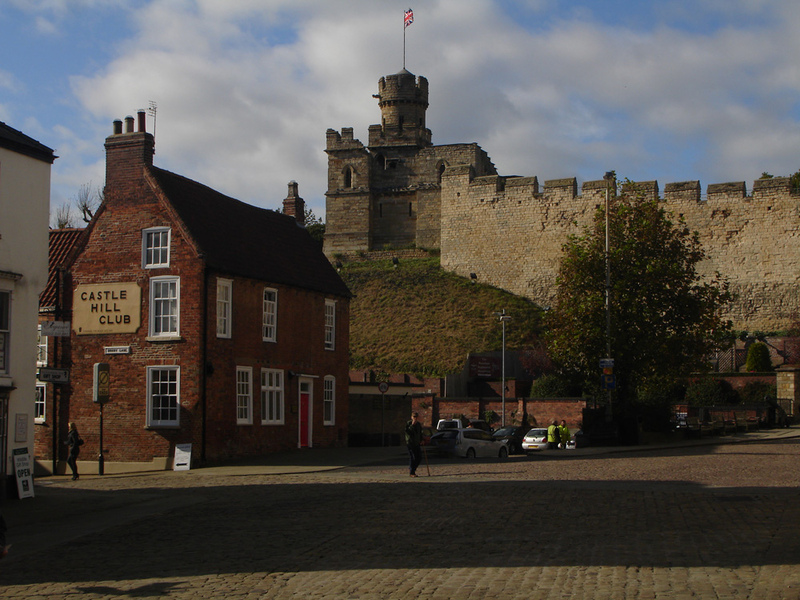 Here’s Jones’ take on Lincoln after a visit this year, republished here with permission. 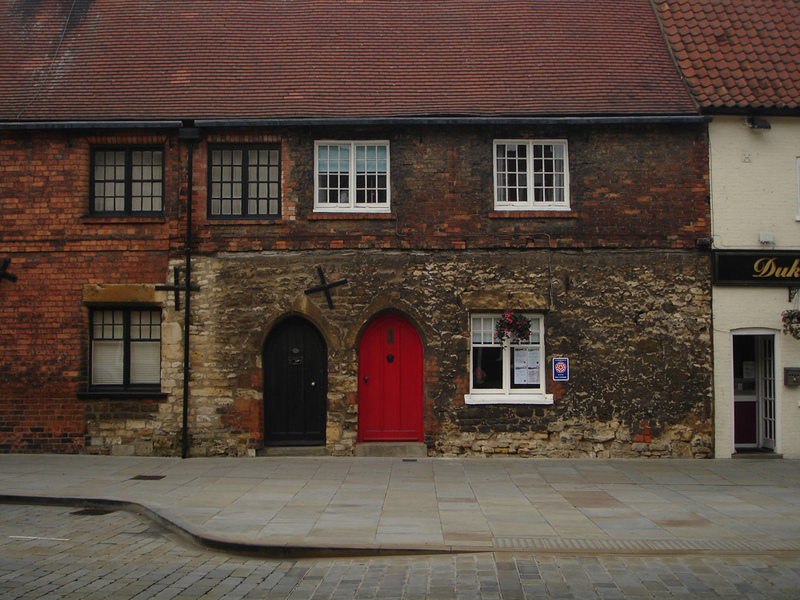 What is striking about Lincoln is that it is a really vibrant, busy place – maybe rather old-fashioned in some ways, but in other respects self-confident and cutting-edge. What is the secret of its success? Well, there are lots of reasons but some good planning is one of them, which is not to say there aren’t some shockers too. Nevertheless many towns could learn from its example. What has been particularly successful is the implementation of the Linking Lincoln masterplan, steadily pursuing an agenda of people-friendly places and design excellence. 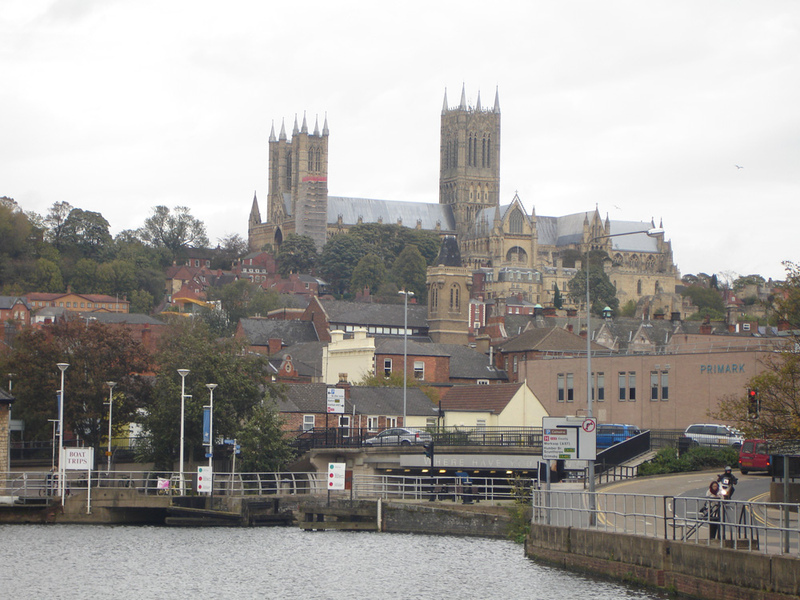 Lincoln is definitely a town of two halves and two characters, quite a violent collision between South and North, Barchester and Doncaster, the Lincoln Edge and the Witham Gap, Above Bar and Below Bar. It is not a large city – even with its suburbs beyond the city boundary the population is only about 120,000 – but it is the busy centre of a very large hinterland. Most people’s image of the place will be a Beautiful Britain photograph of Lincoln Cathedral rising above Steep Hill – an unforgettable silhouette. It is certainly one of the very grandest and finest of English cathedrals and there are magnificent views of it from the surrounding countryside. In some directions the cathedral’s dominance is challenged by the distant power stations along the Trent Valley. My uncle, who as well as being an avid supporter of the NHS, was also a keen antiquarian and paradoxically a modernist used to declare ‘that cathedral spoils the view of the power station’, which as an impressionable young boy I took as an amazing insight, although in retrospect I think he was joking. The High Street is immensely long and straight but divided into three sections – by a somewhat surreal and very inconvenient level crossing next to the Station and also by the medieval Stonebow. 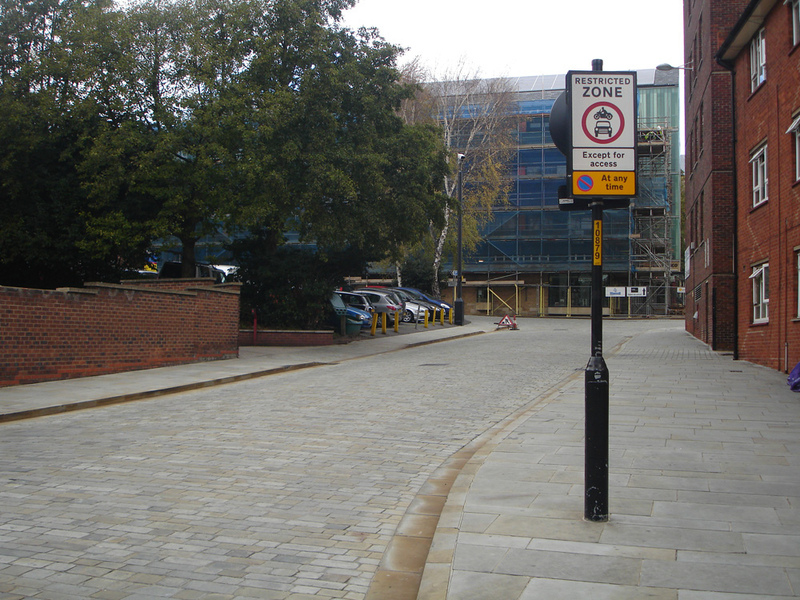 This is the boundary between the working town (Below Bar) and the ecclesiastical town (Above Bar). The High Street also features a black and white timbered ‘inhabited bridge’ at High Bridge over the Witham, a unique survival although much was restored at the turn of the 20th century. 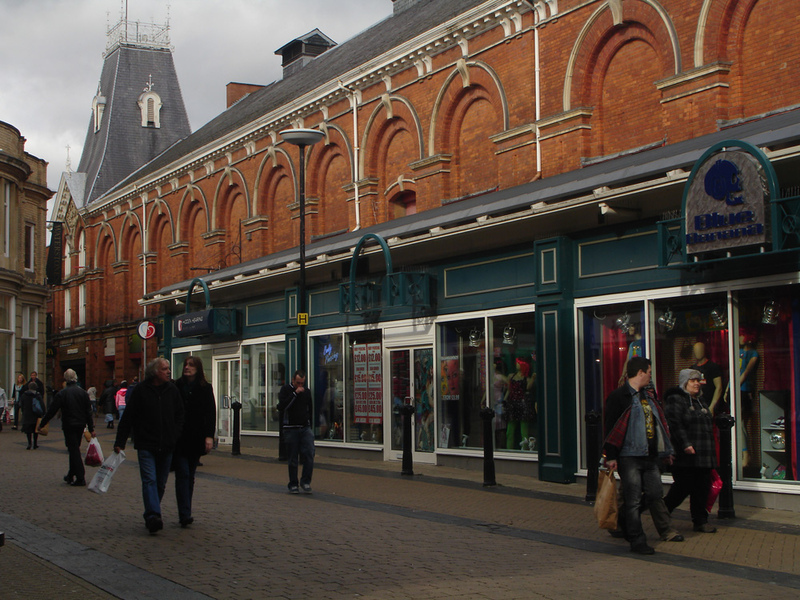 North of the railway High Street is pedestrianised and remarkably coherent with some fine fin de siècle commercial buildings by William Watkins. There are few bad buildings. Compare and contrast with the massive sprawl of excremental, parasitic retail parks along the adjacent relief road’, which needless to say is clogged by traffic from their endless car parks. Of course this degraded scene, which could be anywhere and is everywhere, is the product of a planning system for which ‘NO’ is allegedly the default answer. IF ONLY. Yet Lord Wolfson of Next interviewed on Newsnight smirkingly claims that the planning system needs to be reformed (scrapped) because it is stopping him building enough out-of-town stores to bring us out of the recession. And Paxo let him get away with it. I don’t know how well Lincoln did on Paxo’s University Challenge but the new university is certainly a big thing for the city. 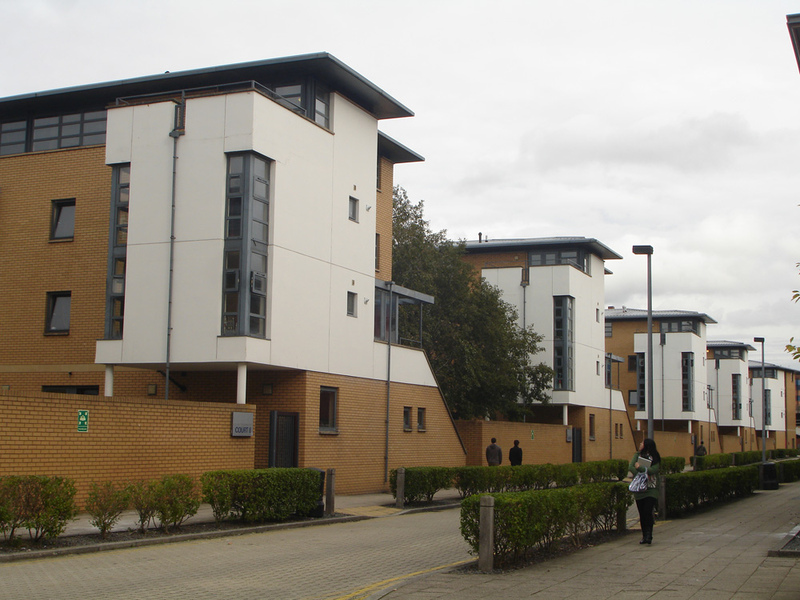 Initially set up in 1996 as a branch of Humberside University, it expanded hugely in 2002 when the main Hull operation was transferred to Lincoln. There are now 10,000 students. 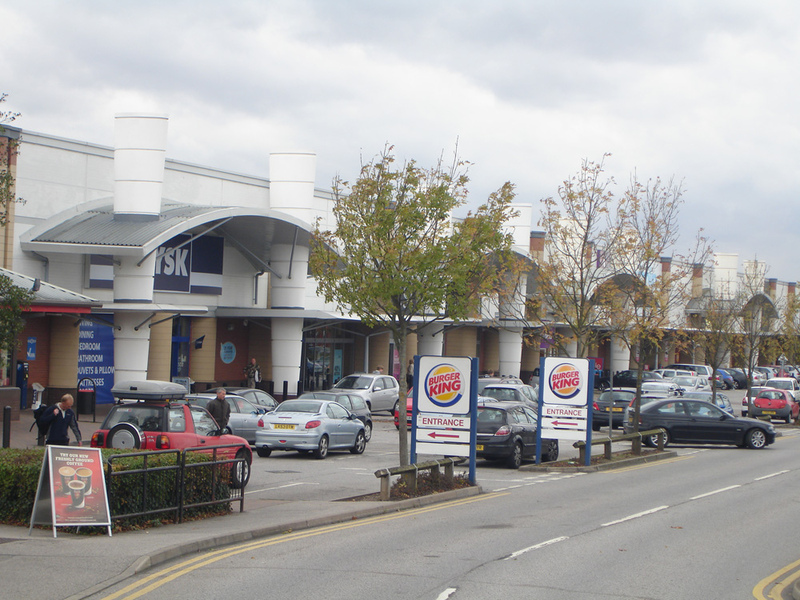 The campus on the old railway yards south of the Brayford Pool is well-chosen, close to the city centre and with inspiring views of the cathedral, but not without challenges, perhaps the least of which is that the southern edge is formed by the moronic retail parks referred to above. A bigger problem is that the campus is bisected by the railway and a road viaduct spanning the railway and the Fossdyke. 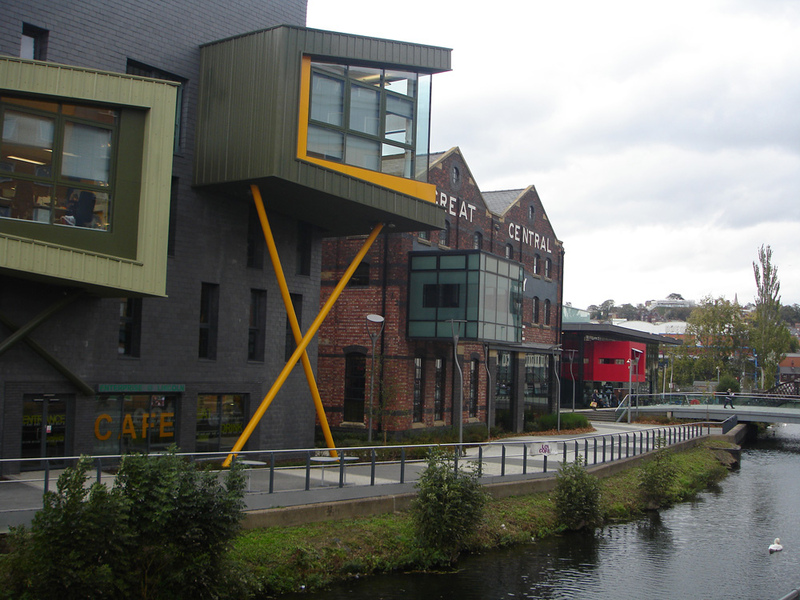 The initial university campus was between the Brayford Pool and the railway. 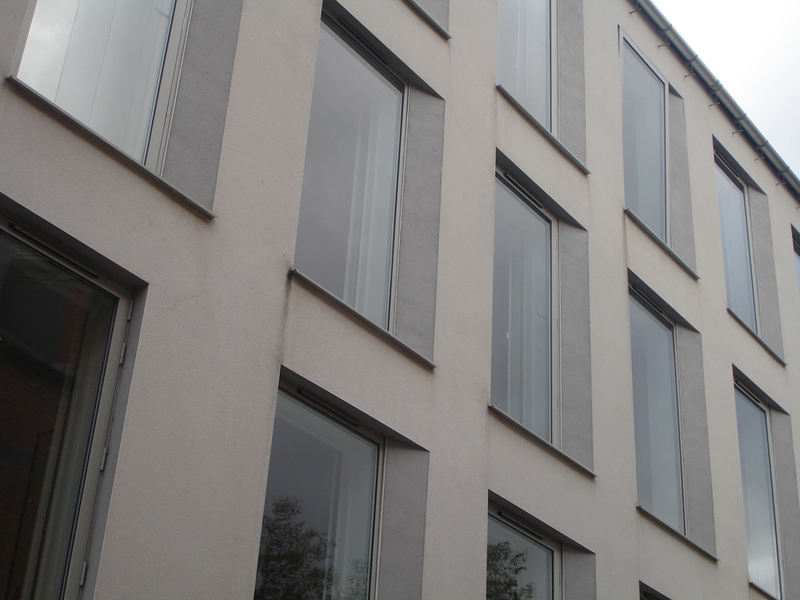 West of the viaduct and next to the Fossdyke are very pleasing student residences, responding to their Dutch-like environment with restraint and simple clarity of design. Later phases are more fussy. The expansion of the campus to the other side of the railway tracks was masterplanned by Rick Mather. 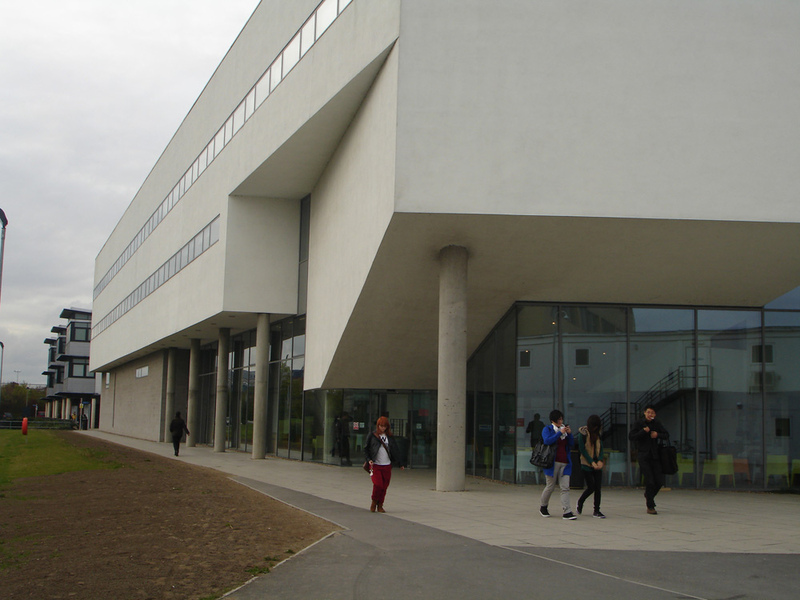 He also designed the Architecture School which is pure white cubes as you would expect – the yellow and orange chairs in the foyer look like a shocking affront. Allies and Morrison have produced a further masterplan to expand the campus onto the sea of surrounding car parks. 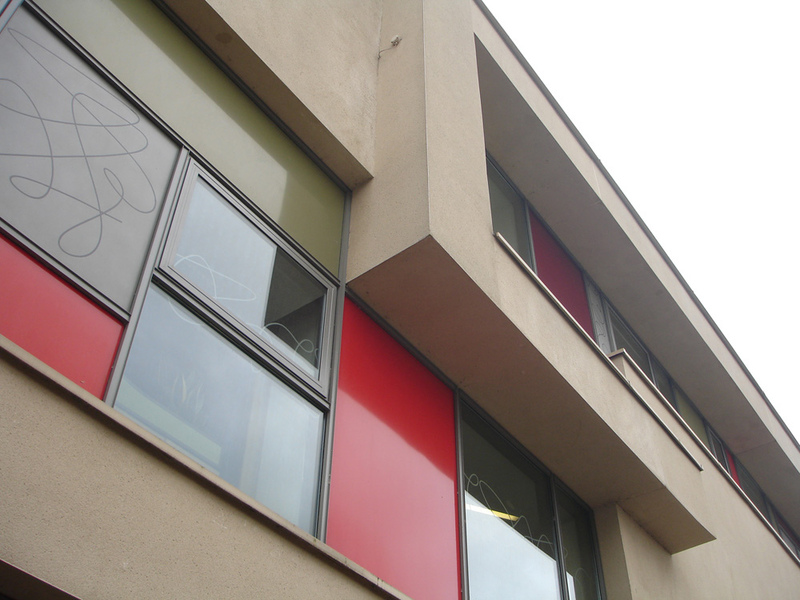 They also designed the Engineering Building which has satisfying windows onto great big machine workshops. The most impressive buildings are actually conversions of old railway structures. The Engine Shed is almost completely swathed in glassy additions to provide a new Students’ Union whilst the Great Central Warehouse has been very attractively converted to the University Library, clearly displaying its structure but with new pods added, echoing railway lucams. These are either side of a wide new pedestrian bridge over the Witham that forms part of a new quad for the university. Beyond is the shiny Lincoln Performing Arts building. All were designed by STEM Architects, as was the sparky but slightly disturbing Alsopesque construct ‘[email protected]’ next to the library. This is one of an impressive number of innovative workspaces commissioned by the university and the city, alongside Marks Barfield’s iridescent Think Tank. The university has had a hugely positive effect on Lincoln – 3,000 jobs for a start – and its lively impact is very noticeable in the city centre. 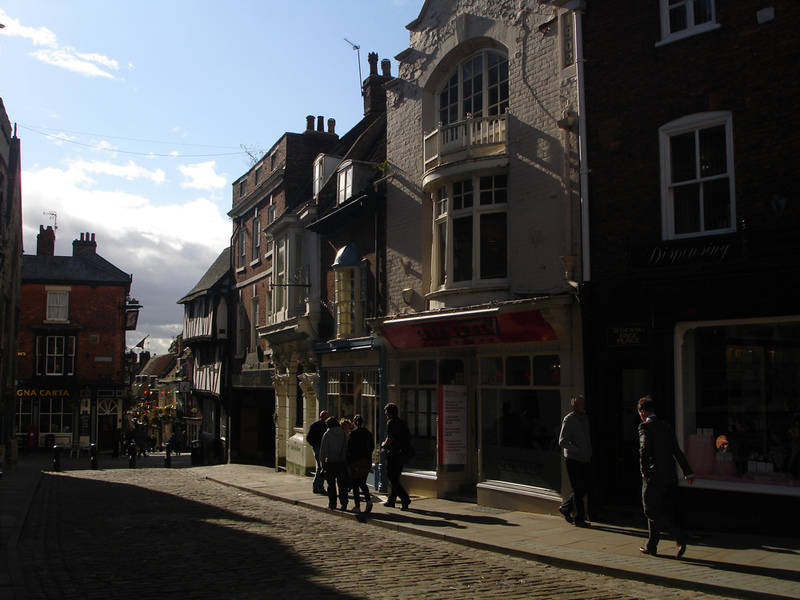 Compare this to Norwich, in some ways a bigger version of Lincoln, where UEA is very definitely a place apart. The scale of its expansion is impressive but the campus does at times seem hurried, cheap and cheerful – the IKEA of academia. This is particularly the case with the mean landscaping and paving although the new masterplan promises to rectify this. It is also disappointing that after an impressive start with student residences the usual barrack blocks now dominate. The Pavilions ‘student village’ has the cheek to weakly reference the engineering shed typology of its near neighbours. 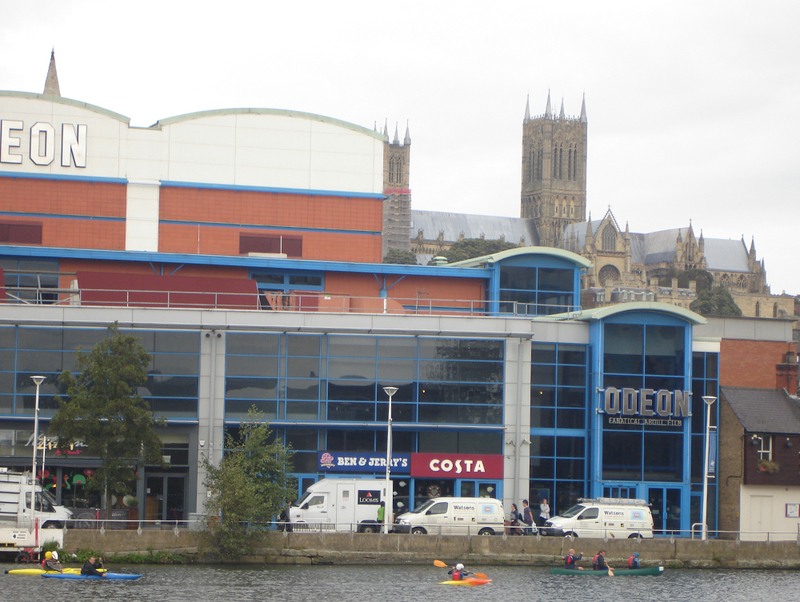 ‘A new Odeon will really kick-start Lincoln”. Bygone desperation. It is also unfortunate that the quality of development across the Brayford Pool from the university is so crass. Brayford Wharf North is a hotchpotch of chain bars and restaurants with an overpowering Odeon box dominating the view. However you will find the interesting former car showrooms now converted to restaurants by local, late, architect Sam Scorer, most famed for his parabolic roofed Little Chef on the A1. 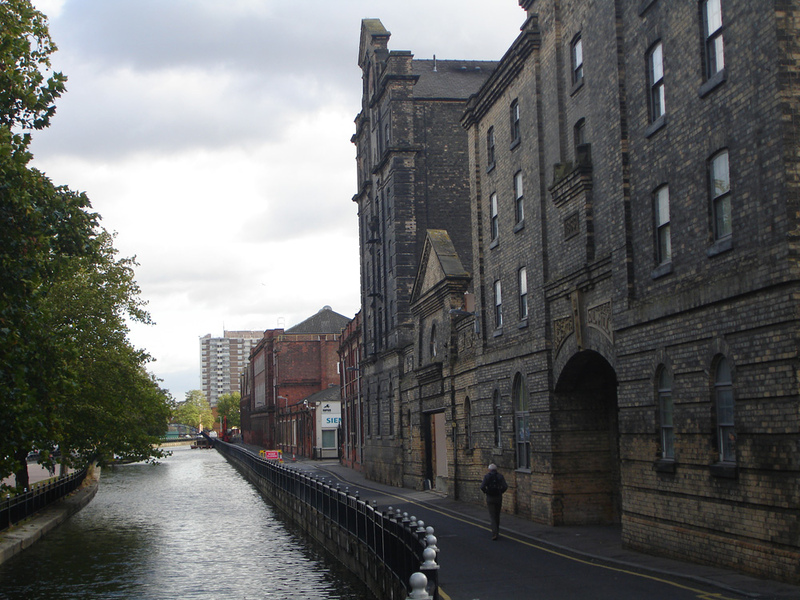 On Brayford Wharf East Pevsner noted fine C18th and C19th warehouses which were destroyed for the inner ring road and replaced with utter banality, an act of terrible vandalism from an era when this was the norm. 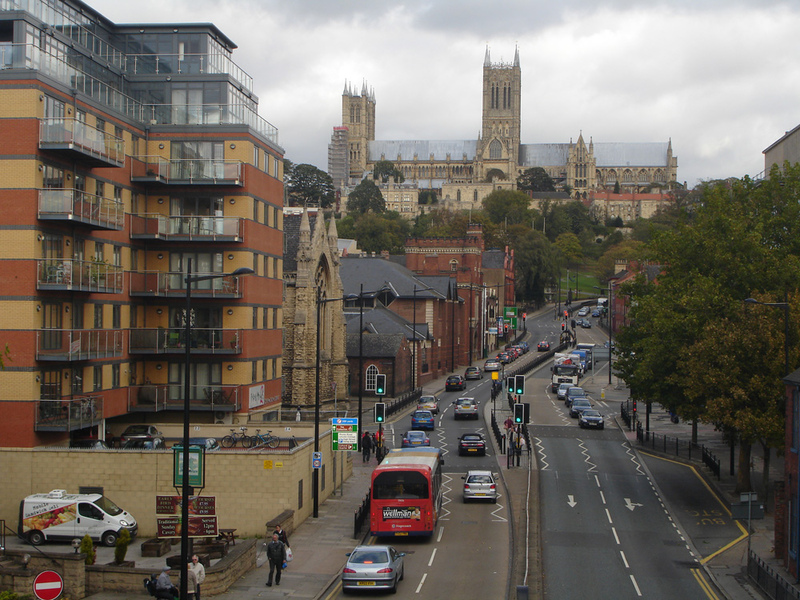 Imaginative proposals to redevelop this as a proper framework of streets and buildings have been put forward by Linking Lincoln – let us pray that they can be achieved. This would make a huge difference to the coherence of Lincoln. On the other hand, traffic is very dominant in much of the city centre. The County have grand plans for a new eastern bypass and then for a southern bypass which will allegedly solve this problem whilst opening up large areas for housing development. This is the usual story but in reality the additional bypass will only make Lincoln yet more car dependant and spawn new car centric housing developments impossible to serve by efficient public transport. The usual plethora of subtopia cul-de-sac Lego land going up inside the existing ring road shows us what to expect. Nowhere is safe. Certainly public transport is not the best thing about Lincoln – that there are no buses after 7pm gives you a measure of how poor it is. Back across the dual carriageway we find Blomfield’s 1906 domed public library on Free School Lane with the fun Jacobean Co-operative opposite and streetscape pierced by St Swithin’s spire. Next to it is the Drill Hall, an excellent refurbishment of 2004 which has created a welcoming multi function events space. This is one of a number of initiatives which have really raised the cultural profile of Lincoln. The cultural provision and urbanism north off Flaxengate restores your faith in 21st century civilisation. The Terrace by Bauman Lyons is contemporary and contextual; limestone, street pattern, light, subtlety, and precision. Publicly funded, it successfully houses a café with around fifty studio spaces for the creative sector. Neighbouring this is Museum Court by Jonathan Hendry architects, which shows a confidence in the proportions of a Georgian terrace and the considered decisions of a minimalist. It is billed in the Thatcherite language of estate agents as ‘executive accommodation’ and yet it is actually trying to instil some sort of civic sense. You can but try. The Collection by Panter Hudspith Architects is the star at the centre of all this and easily one of the best recent buildings in the country. 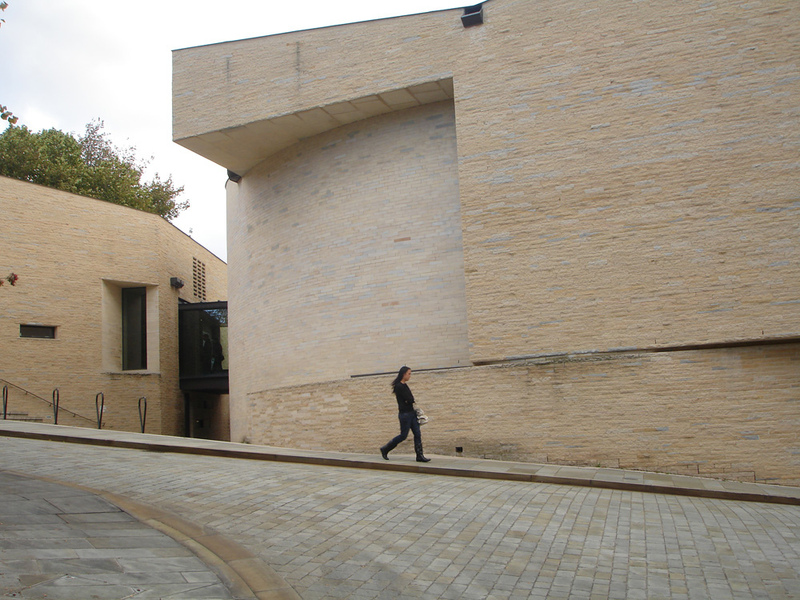 Whereas the Terrace and Museum Court pay lip service to the context, The Collection plays with the rules of its circumstances – a limestone declivio with DeWint views – without degenerating into a Zaha ego trip of pointless angles. On the other side of Danesgate, the older Usher Gallery shows Blomfield’s consistent classical stubbornness for 1927, but who really cares about the Zeitgeist with neighbours like these? 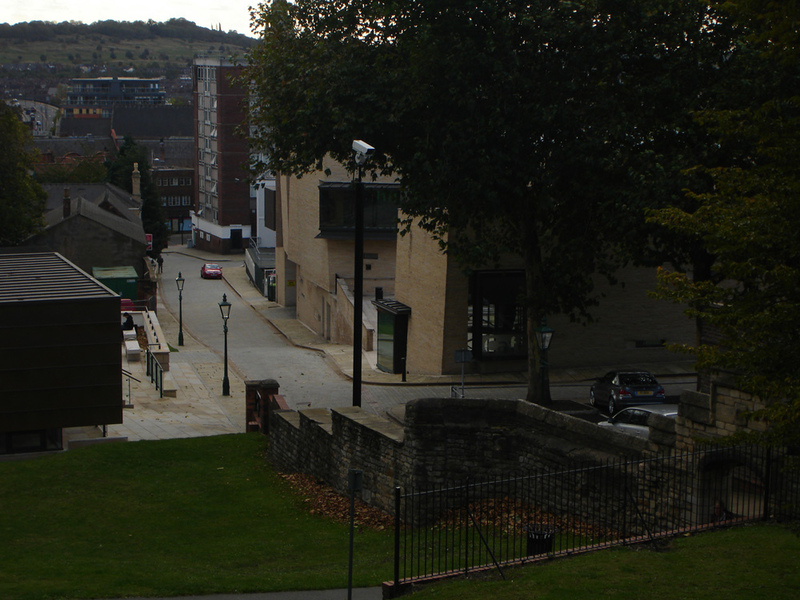 The cumbersome extension has been removed, a new entrance has been built to face the street and the park opened up so now the gallery clearly sits below the hill in the hollow of a delightful garden. This is all thanks to local authority town planning, and not the chaos of the free market, dear Messrs Pickles and Shapps. The art collection here is outstanding for a city the size of Lincoln including the likes of Ben Nicholson, John Piper and Hockney. Chocolate box stuff but, where are the sweet toothed tourists? 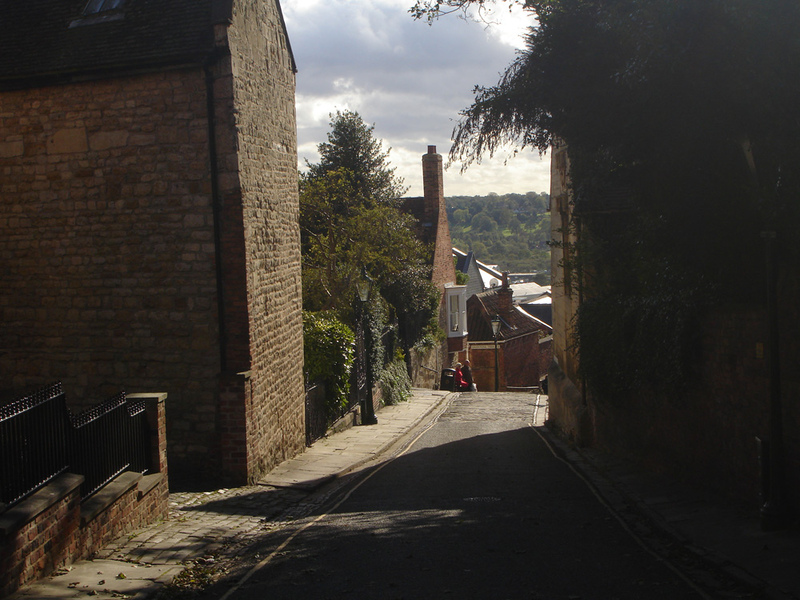 Whichever of the several picturesque ways you choose it is a steep climb up the hill to the Cathedral. This is an overwhelming building even for a godless person like me, staggering in its certainties and technical precocity. Was the young Scorer staring at the hyperparabolic forms of the vaulting all those years ago? 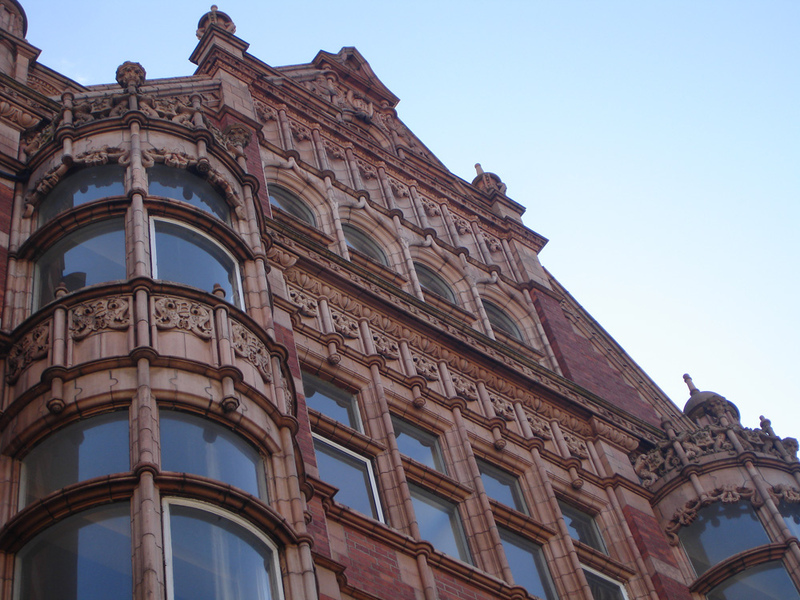 What can I add to Pevsner and others – nothing. Just don’t forget the Wren Library and the 1959 Duncan Grant mural in the St Blaise chapel with its muscular young men considered so outré by the church authorities that for decades the chapel was closed to the public. The Cathedral is wonderful, magnificent, transcending — but in some respects the real glory of Lincoln is its housing. Few places can boast such consistently pleasant residential areas. This is of course a huge generalisation but the Cathedral Close must be as about as des res as you can get. Houses from the 18th century to the present on the steep winding alleys below the Cathedral and the Castle command staggering views. 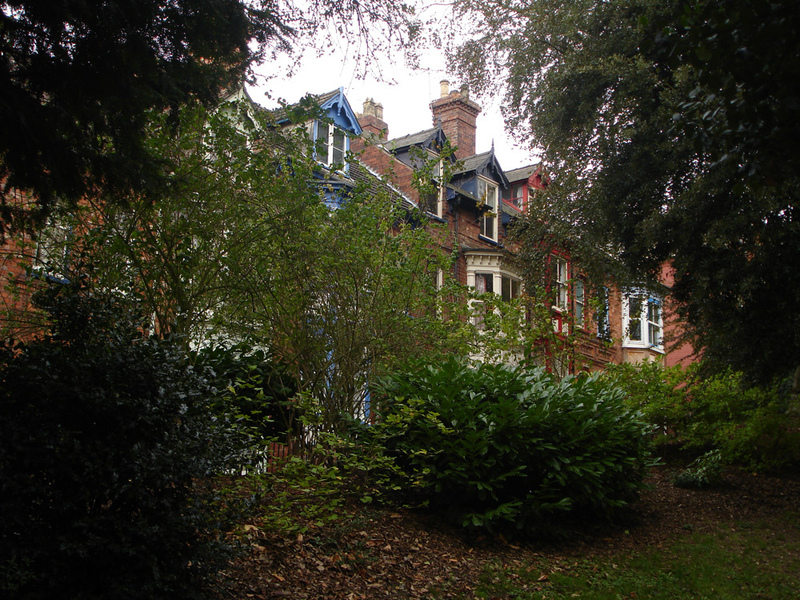 Much of the Victorian and Edwardian town looks really, really pleasant. To the east of the Cathedral off Monks Road is the Arboretum, a fine Victorian park designed by Edward Milner, an apprentice of Joseph Paxton. To the north are the mansions where the masters of the engineering works lived. To the south are the tight terraces for the workers but far, far better than the equivalent housing in cities like Nottingham. It still feels like a good area with lots of local facilities, like the Co-op supermarket in a converted chapel. In the changing levels of the west end ‘muesli belt’ you can look out towards West Common and pretend that interwar subtopia never happened. 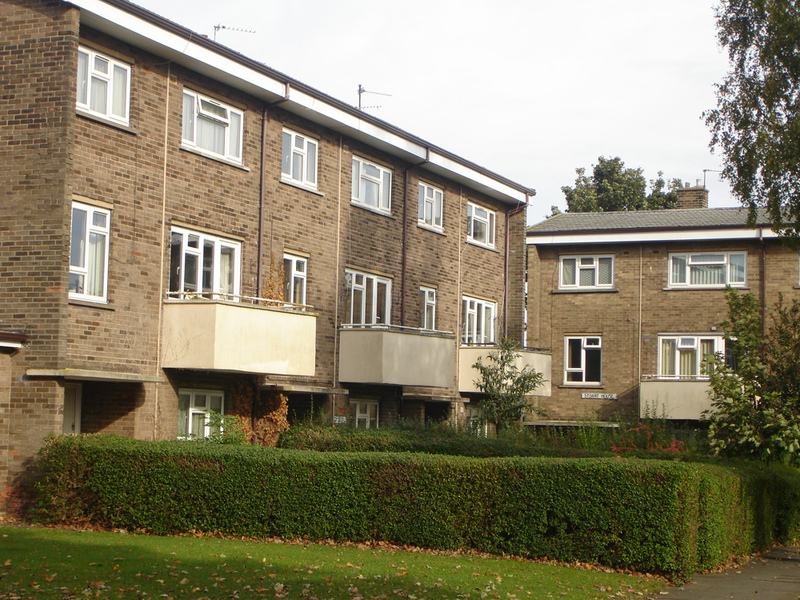 South of the town Swanpool Garden Suburb is a small piece of Hampstead Garden Suburb or Welwyn Garden City. Perhaps the most uplifting, miraculous place of all is the Ermine Estate, built mainly between 1952 and 1958, and you might say much like any other low-rise council estate of that era with its mix of terraces, low-rise flats and bungalows. Except that Ermine still works – no signs of vandalism or anti social behaviour, no graffiti, no Alice Coleman interventions and, can you believe it, no security cameras. Open plan lawns and communal areas are well-kept. 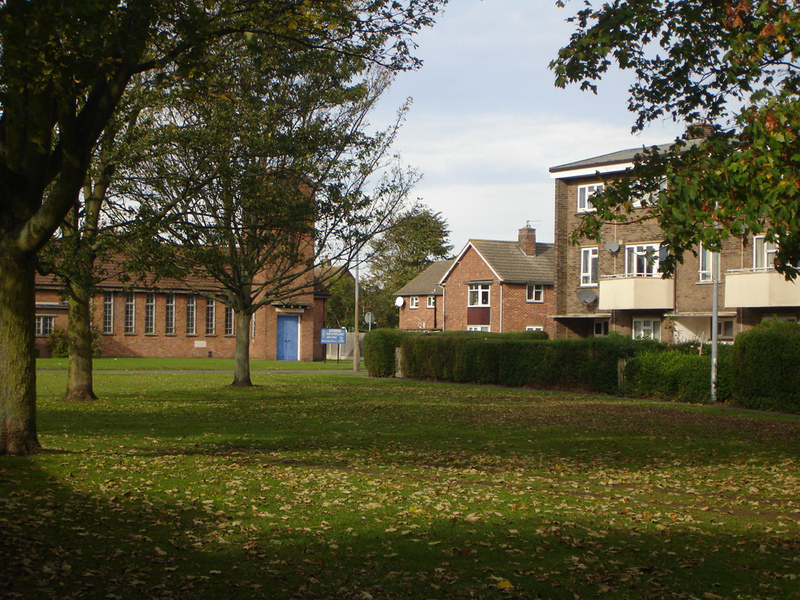 There is a shopping parade including a butcher, green grocer, Co-op and Post Office, a community centre, library and several churches including Sam Scorer’s St John the Baptist (1963). This extraordinary building is conceived as a tent rather than a temple, and has a complex hexagonal geometry with the congregation on three sides around the sanctuary. 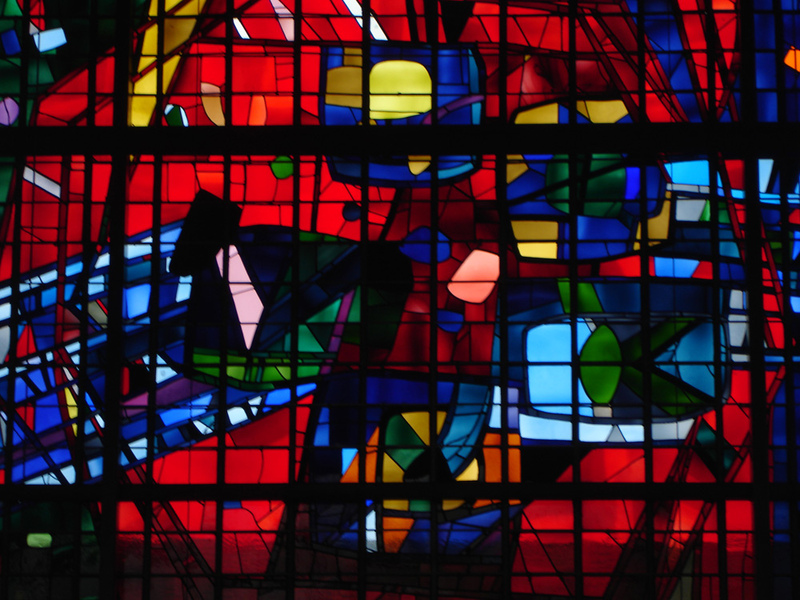 Light floods in through the glorious east window – a very intimate and inclusive space and a genuine heart of the community.